Some fairly predictable work, it can also lead to serious issues if you end up suffering from a repetitive motion injury. File a workers’ compensation claim to help cover the medical care and lost wages caused by the trauma. On behalf of Koszdin, Fields, Sherry & Katz posted in Repetitive Injuries on Thursday, May 11, 2017. Many jobs, including retail jobs and factory work, entail doing the exact same thing over and over again. While this does make for some fairly predictable work, it can also lead to serious issues if you end up suffering from a repetitive motion injury. In California, repetitive motion injuries, which are also known as cumulative traumas, are compensable under the workers’ compensation program as long as the injury was caused by or aggravated by job duties. There are some very specific things to think about if you hold a job that is associated with these injuries. There are two types of overuse injuries that you might suffer from. One is due to technique errors. This type of injury has to do with the way that you move when you are going about your job duties. For example, repeatedly lifting a patient by bending over instead of stooping might lead to cumulative back injuries. The second type is a training injury, which occurs when you start doing new activities much too quickly. This type of injury is what causes you to suffer a pulled muscle if you try to lift weights that are too heavy without properly warming up or working up to that weight. Most cumulative trauma is preventable with the proper equipment and training. Employers should provide employees with the tools they need to do their job safely. This could mean providing ergonomic keyboards for workers who have to type a lot or providing movement friendly options for workers who have other duties. In some cases, back braces could help to prevent repetitive motion injuries. Ergonomic chairs, anti-fatigue mats and similar items could all help to keep employees safe from these injuries. Cumulative trauma isn’t always noticed right away, which might mean that you don’t know that anything is wrong until the injury is severe. In many cases, the symptoms start out very mild and get progressively worse as time moves forward. This can make it difficult to pinpoint a time when the injury began to occur. When it comes to workers’ compensation claims, the worker would need to show that work-related issues contributed to the cumulative trauma. 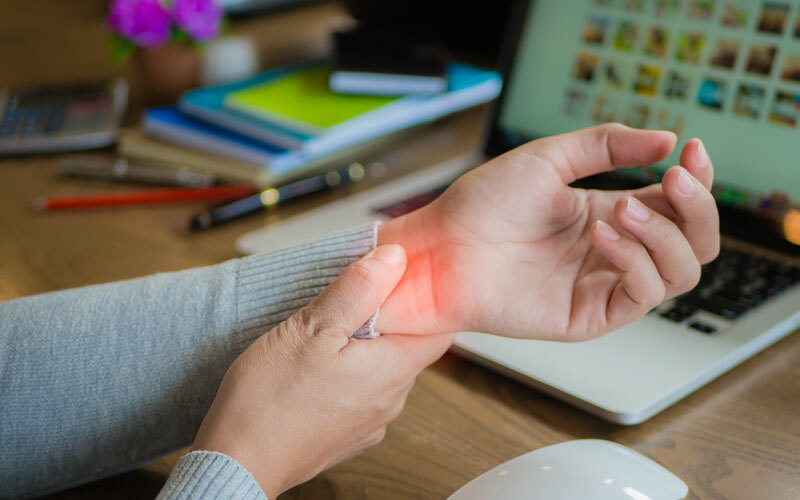 A cashier who suffers from carpal tunnel syndrome would likely be able to file a workers’ compensation claim to help cover the medical care and lost wages caused by the trauma.